Google Analytisc is a fantastic platform for monitoring and tracking users on your website including their behaviour (how they use the website) - from where they are located in the world, their device and language information, and much more. 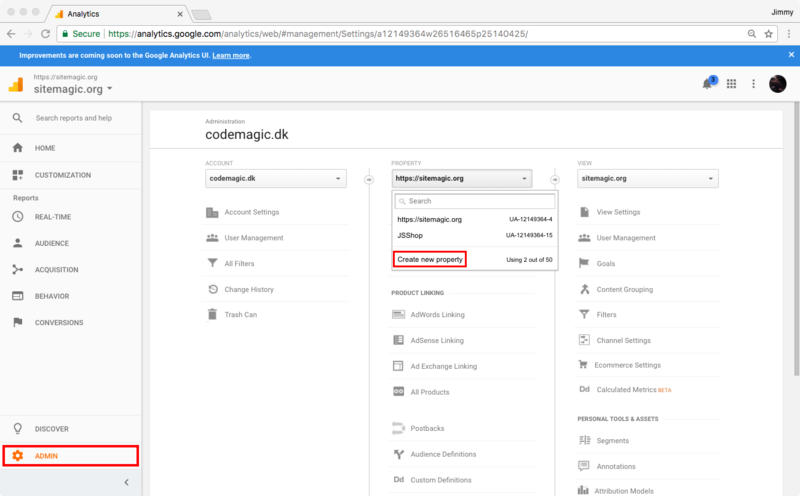 This section covers how Google Analytics is integrated into Sitemagic CMS. 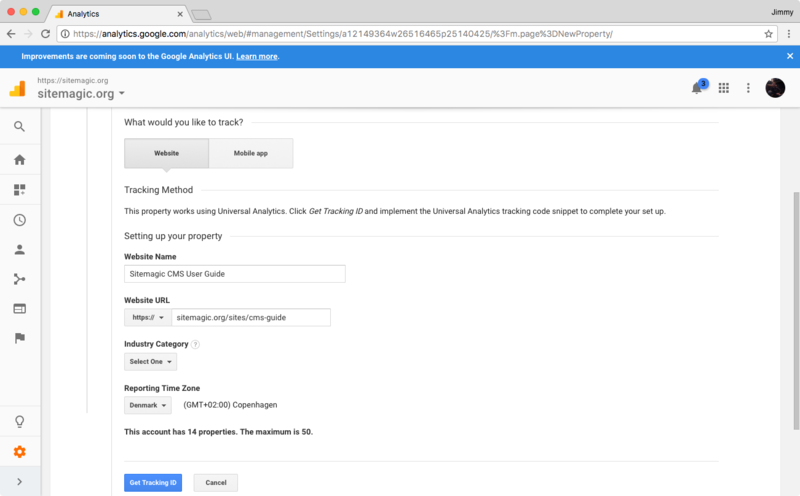 First we need to add your new website as a property in Google Analytics. Click Admin and then click Create new property like shown below. Fill in the property details and click Get Tracking ID. Finally just copy the Tracking ID provided by Google. We will need it in Sitemagic CMS. We assume you have already logged in to Sitemagic CMS. Make sure the Google Analytics extension is enabled. Now go to Admin > Google Analytics. This will provide you with a very simple settings page where you enter the Tracking ID and click Save. That's all there is to it. 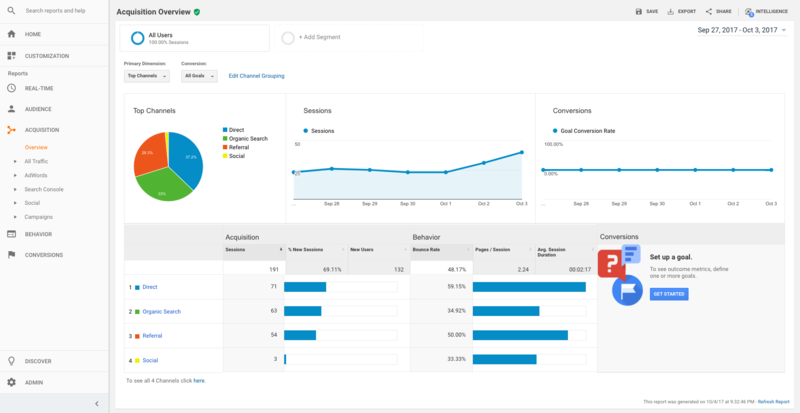 Visitors will now be tracked using Google Analytics. 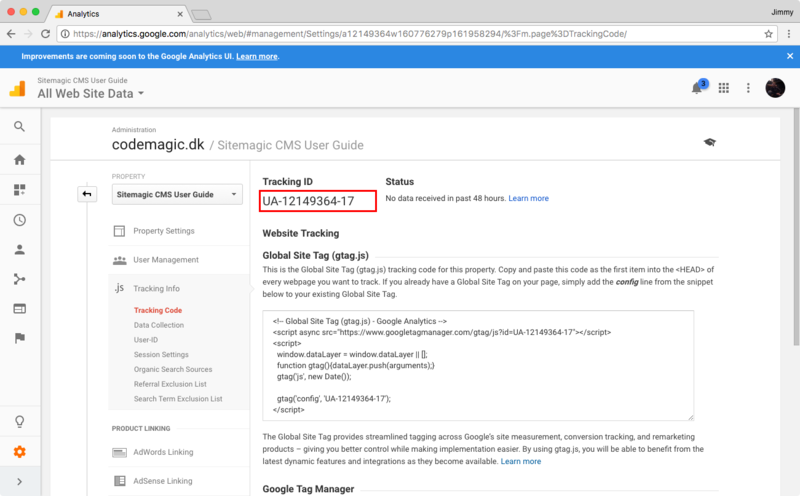 Be aware that users logged in to Sitemagic CMS will not be tracked, so if you want to test that tracking works, you will have to log out of Sitemagic CMS.